Ad mediation sends ad request to multiple ad networks to make sure publishers find the best and optimal available network to fill their ad slots. To begin with, Publishers would rank the ad networks in order of their preference. Next, the mediation platform tries for the top ads in the network. 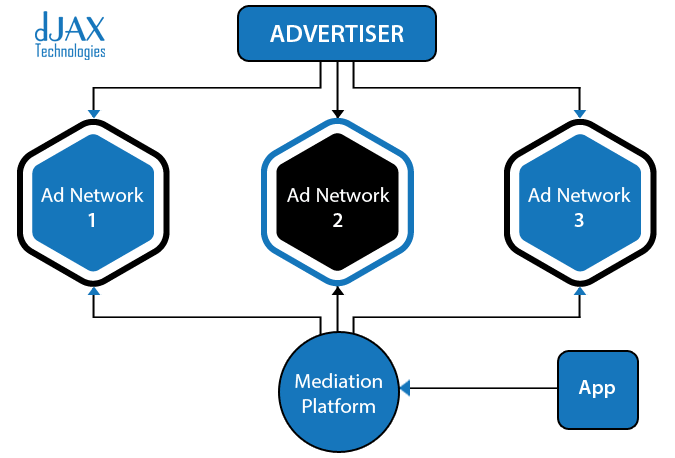 dJAX Mediation is a feature that lets publishers serve ads to their apps from multiple sources, including dJAX Network, other third party ad networks, and also dJAX campaigns. dJAX Mediation helps maximize the publisher’s fill rate for the available ad inventory and increase their monetization by sending ad requests to multiple ad networks to ensure you find the best available network to serve ads. Most mobile publishers have more inventory than they can sell through one ad network or their direct sales team. With the dJAX mediation, mobile publishers can match with the right ad networks to the right inventory and monetize more of their impressions. This would mean that most of their ad inventory is being engaged and not kept idle which would result in the loss of valuable revenue for the publisher.